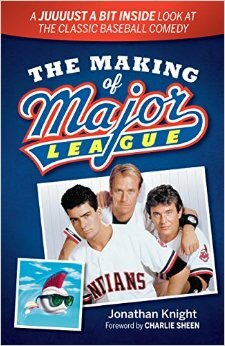 Would you like to win a free copy of Jonathan Knight’s new book ‘The Making of Major League’? No problem. Just send an email with your name and address to clevelandmovieblog@gmail.com with the answer to the following question: Before he made MAJOR LEAGUE, writer/director David Ward won the Oscar for “Best Original Screenplay” for what film? Sure, we know you can just look it up on the internet, but at least you’ll have to put forth a little bit of effort to show you actually want the book. The first two correct answers will get a copy of the book mailed to them courtesy of Gray & Company Publishers.